Come fall, Rainier Beach will score Jude’s, a new watering hole from Beau Hebert, who also owns Columbia City’s Lottie’s Lounge. Jude’s is moving into the former Cafe Vignole space on 57th Ave. S. on a small retail strip near a former trolley line that Hebert calls “old town.” “Every other neighborhood has a ‘cute zone’,” Hebert says. 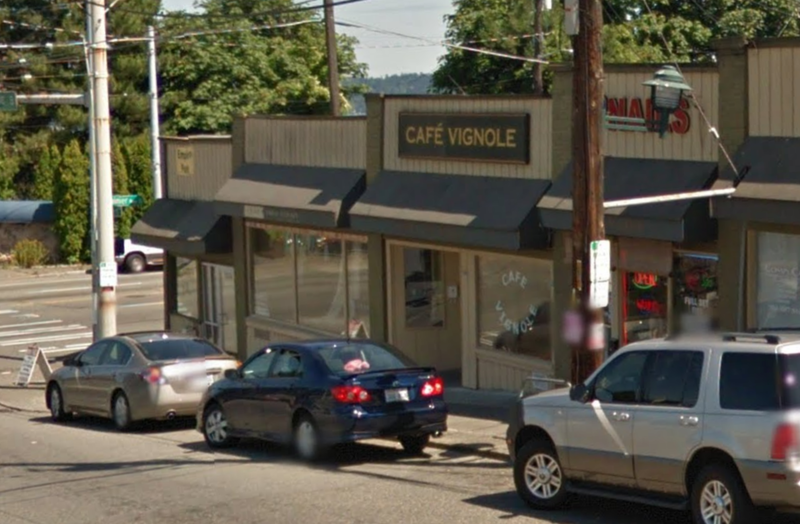 A 10-year Rainier Beach resident and Vignole regular, Hebert says when the Italian spot closed he was able to “make a deal that was enticing enough” to jump on, signed the lease, and began gutting the interior. …Jude’s interior will be modeled after Lottie’s, with a larger kitchen and a dining room that fits about 45. Hebert is using profit from Lottie’s to slowly start the build-out and buy used kitchen equipment. He says he’s been taking the summer easy and next month will start to secure funding. If the schedule keeps and money comes in, Jude’s will open this November. Good luck Beau. I hope the new spot is a huge success. I can’t tell you how happy we are to hear this news! I lived in Columbia City for 10 years, and remember when “Lottie Motts” cafe opened and became the Lottie’s Lounge that certain South Seattle residents know and love. I became a Rainier Beach resident in 2007 and over the years frequented both Cafe Vignole and Lottie’s Lounge on many occasions. I have laughed and cried in both of these establishments and as a couple, Lottie’s has been our favorite place to take refuge for 3 years. This neighborhood needs a Lottie’s Look-Alike and it will just flourish here. So excited that a version of “our” Lottie’s is coming to this hood; right around the corner from our house. See, change IS good, after all.